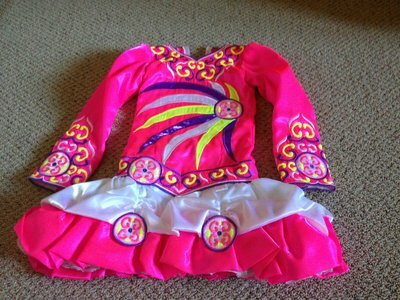 This is a gorgeous dress that complies with Mid America’s dress rule and has been worn by a National medal holder. 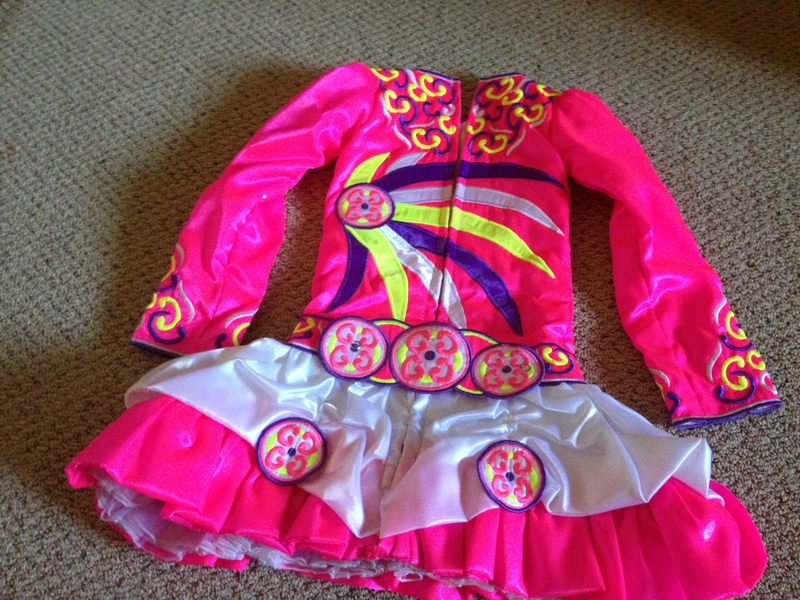 This dress has excellent stage presence with it’s hot pink, neon yellow, and purple twinkle satin colors!! It is in immaculate condition and is stored in a smoke-free environment. 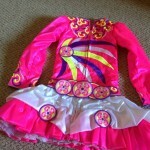 The dress includes a matching headband and bloomers. Asking Price: $US1.150.00. Shipping costs are included for my own country, overseas shipping is extra. Sale is final.